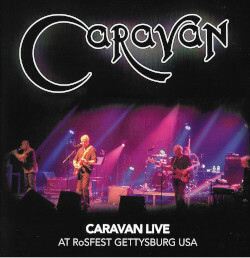 We are delighted to announce that we are working with instant recording specialists Concert Live to produce a live recording of Caravan’s gig at Shepherds Bush Empire on the 8th October 2011. So don’t miss out on your chance to own the ultimate item of fan memorabilia which perfectly captures the atmosphere of the night and the band’s 2011 European tour. if you aren’t lucky enough to be able to attend this concert then don’t you worry Concert Live can get one of these CDs delivered straight to your doorstep. Concert Live starts burning CD1 & CD2 during the encore and therefore do not have time to burn the encore tracks themselves to CD3. For this reason CD3 is intentionally blank and you are required to burn the tracks yourself. Please log onto their website at [ http://www.concertlive.co.uk/encoredownload.php ] type in the provided code (which is printed on a sticker underneath CD3) download the lossless WAV files and burn the disc yourself using those files. Lossy MP3 files (at 320 CBR quality) are also provided however should you burn those to the disc you will have a much lower quality disc than CD1 and CD2 so we suggest going for the WAV files. Link to concertlive comes up with a security warning not to go there?Much as I’d like to buy the cd of the Bush concert I’m not compromising the security of my PC-don’t know if other people have had this problem. The 3Cd live set is simmply marvellous! It capture the mighty performance of Sheperd Bush in perfect way and make me remember how magic was been that night. Same problem as Pedro in comment 2 – Firefox will not let me access the Concert Live site as it does not have the appropariate security certification. Im sure its all OK – but I’m not willing to take the risk. Sooo – I have my 2 discs of the main concert – but not the encore. They played the same set in Edinburgh last night – apart from a bit of a problem with the sound balance at the start (Jeff’s violin was a bit lost) it was a great performance – they were really firing on all cylinders. And a good crowd (both attitude and numbers) – nice to see a good sprinkling of young blood as opposed to old lags such as myself and pals ! Hmmm Rachel’s comment above has been “reported do the administrator.” Are only 100% positives allowed? At this time this comment is authorised …. Any way here goes. I have decided not to purchase this CD as I am sorry to say that the Shepherd’s Bush concert was a disappointment simply because the sound was ruined by a bass that vibrated the rib cage. This was a heavy buzzing vibration as opposed to musical notes. Pye and Geoff were marvellous but the thudding base and crashing drums were not reminiscent of the subtle musicians I have known and loved. 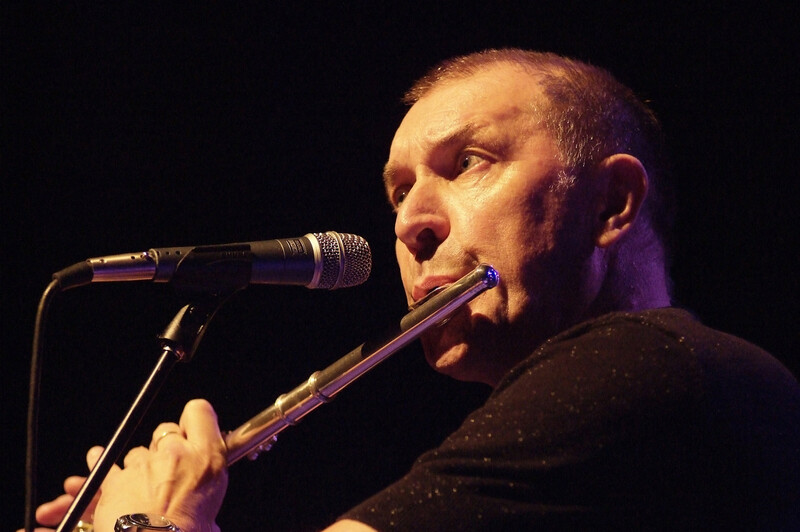 This is not to say that Jim isn’t a creative musician he is! I love your contributions to the recent material and your vocals on Nine Feet Underground were a delightful addition to the piece. No my beef is with the sound desk: Guys those vibrations drowned the overall feel and were a constant annoying distraction. I couldn’t even hear Jim! You failed miserably! I have followed the band since I was 9 years old in 1971 and have witnessed the many line up changes and silent periods over the years. I thought we had lost you many many times and was absolutely delighted with the return to form with the beautiful Unauthorised Breakfast Item album. I was excited at the prospect of the 40th Anniversary of ITLOG&P gigs but where oh where was the celebration of this wonderful and enduring band? Oh there were many great moments including the spoons and washboard and a wonderful set list but it could have been any gig. This should have been special. 7 out of 10 on the night which I am going to put down to being a temporary hiccough in what has been a long and delightful journey. My best wishes to you all especially Richard Coughlan. I have mentioned the issue of live sound under the Edinburgh gig post . There Pye Geoffrey and Mark were fine but Jim was far too loud and Jan was rather lost and distorted . Not the fault of the band but a bad sound mix in a difficult venue in which to achieve good sound . It was a great gig really busy and with a fantastic atmosphere. Re the comments about security – I’ve never had a problem accessing the ConcertLive site from IE Firefox or Chrome (which is my current browser). If it’s indicating an issue it’s probably because the browser setting you have is particularly restrictive in what it will allow. I certainly don’t believe that there’s any risk involved in accessing their site. I’d be more concerned if it was your firewall that was giving you this message but that doesn’t appear to be the case. I was at the Edinburgh gig and thought the sound was fine but I was down the front which I always find to be the best positioning. You get much more from the backline and onstage monitors than you do from the PA.
Jim’s bass was loud and deep but that was what was coming out of the amp!! If the source is too loud there’s only a limited amount that any sound mixer is going to be able to do. I’ve not been to many gigs in the Picture House but was standing at the back of the floor area for Big Country earlier on this year and the sound was grand. It can be done. I bought the live set at the Edinburgh gig but when I was checking it out on the train home discovered that it was missing the second disc. When I got home I discovered that the first disc didn’t play. And that the box had an inked “Promo” written across it – swiftly came to the conclusion that I was sold a display copy. I’ve been in touch with Concert Live and am presently awaiting a replacement copy (along with a complimentary live set from another band which they offered in apology for the mistake which was a nice touch). Worth mentioning that what appears on these CD’s is not the same as the sound in the hall. There’s an interesting and entertaining article by Robert Fripp in one of the many KC reissues explaining at some length how none of the different ways of capturing a live perfomance can never ever replicate the sound of the hall. Just to add to this sound business – the Stables gig was as near perfect as possible. The band were on top form (of course) and it was pure joy from start to finish. My son reckons he was the one who led the standing ovation but my theory was that the rest of us are just getting on a bit and need more time to stand up….Thanks guys life is just so good as long as you keep gigging! I can’t get 3rd CD of Shepherd’s Bush gig to play? Am i being thick? There should be a sticker with a code on the tray that holds the 3rd cd . This should be used to burn the encores onto the 3rd ( blank ) disc . However my cd burner isn’t working at present and I can’t vouch that the system works . As for the site security issue Concert Live are currently investigating the problem. They have not said when the issue will be resolved however. Got my replacement set through from Concert Live. Sounds terrific and a great souvenir of the recent gigs. Also worth mentioning that the third disc has the encore songs included albeit that the disc itself is still marked as needing to get the downloads. This is consistent with what I’ve found in the past with only the sets bought either at the gig or in its’ immediate aftermath requiring to be downloaded.